In the early days of prefab buildings, the goal was to make them as cheaply as possible. Nowadays, the goal is to make them as good or better than site built construction. Economies of factory production are still there, but utilizing the cheapest grade materials is a thing of the past. 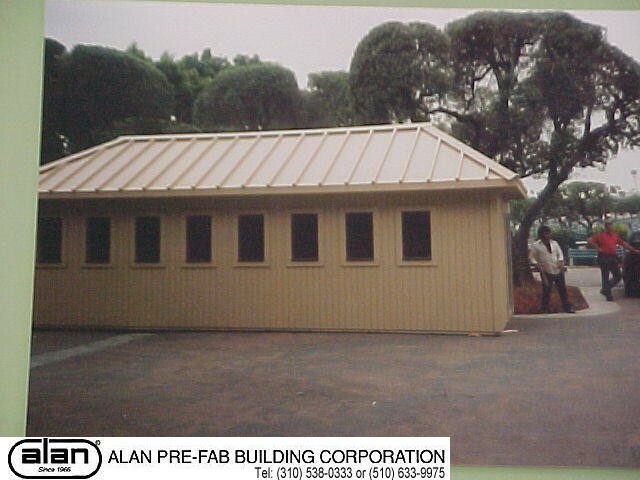 At the Alan Buildings factory, we save our customers money by using factory production techniques, labor saving standardized methods of construction, wholesale quanity buying power for materials, and pre-engineered structural design packages. Plus, the on-site contractor will make 50 trips or more to construct a building. We make one trip to the site with a fully assembled building. Utilities have to be connected on site, but that's the same for site built or prefabricated buildings. At the site, the elimination of noise, dust, and clutter is a huge advantage over site built structures, not only because of the general nuisance of site built construction, but also safety. Plus, the factory can be constructing the modular building at the same time whatever site preparations are needed take place, further saving time. 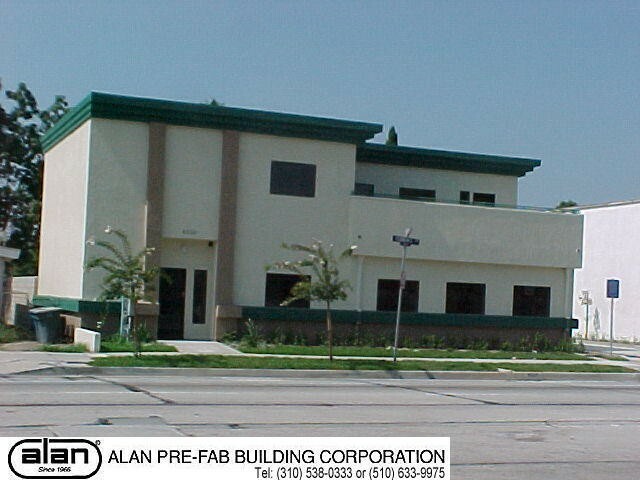 Flexibility in your plant design is a big advantage in using modular buildings. When your plant layout needs change, the skidmounted modular building can be slid around to a new location, or put on a truck and taken to a completely new site. These buildings are made to be moved. 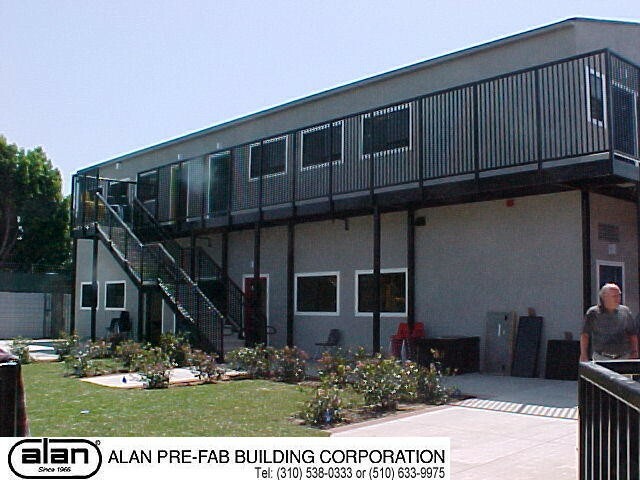 After 5,000 plus modular building projects since 1971, we've figured out a few things about prefab buildings. Experience: 5000 modular buildings later. . .
Circa 1971 Construction shed at the Great Westerm Forum. Original home of the L.A. Lakers. Aluminum siding was the cheapest siding available, so that's what they got. Circa 1985 Tout Booth at Hollywood Park race track, Inglewood CA. The standing seam roof is the same material as any site built structure would use. 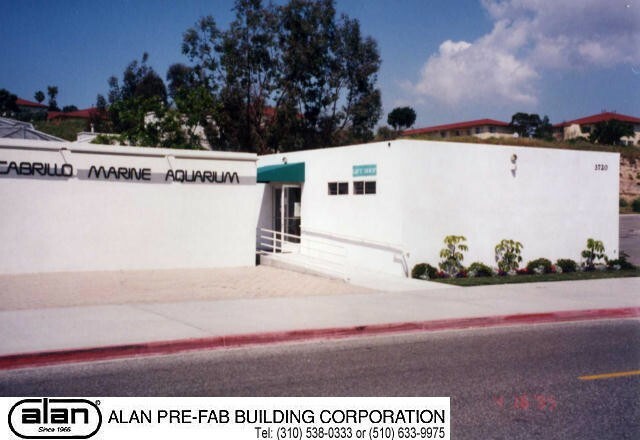 Circa 1995 Hatchery Building San Francisco Zoo. San Francisco CA. This building used cedar siding and casement windows. No quality compromises were taken. The roof was site installed due to limits on transporation laws. Circa 2000 All Steel Control Room for Oil Fields, Elk Hills CA. 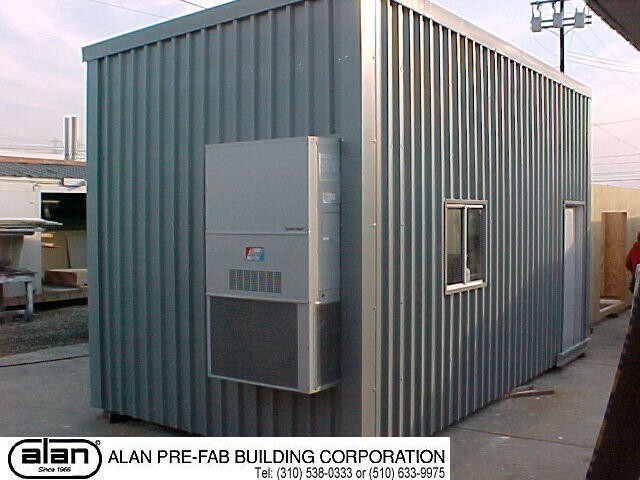 Noncombustible construction is generally a must for utilities, so we invented the Alan Mini Steel Building. All the features of as site built steel building, but delivered fully assembled and ready for use. Circa 2000 Two Story School for Hawthorne Academy, Hawthorne CA. 8 factory built sections. Site applied stucco and shingle roofing. Site built exterior walkway and stairs. Built in 8 sections, it required a lot of site work. The on site stucco and cornice made it indistinguishable from site built.